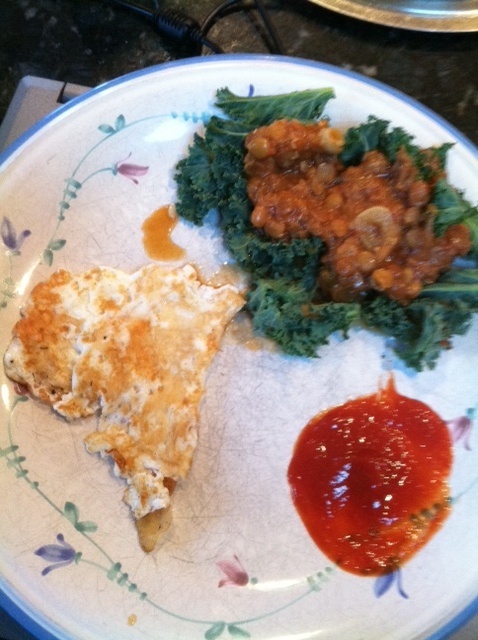 So this morning was 1 eggwhite sprinkled with parmesan cheese, 2 stalks of raw kale with 1/4 cup of my lentil stoup on top ( i didn’t finish it all) and a swirl of ketchup and sriracha mixed together! I am in love with Wegmans Just Tea- the jasmine green tea is my favorite! 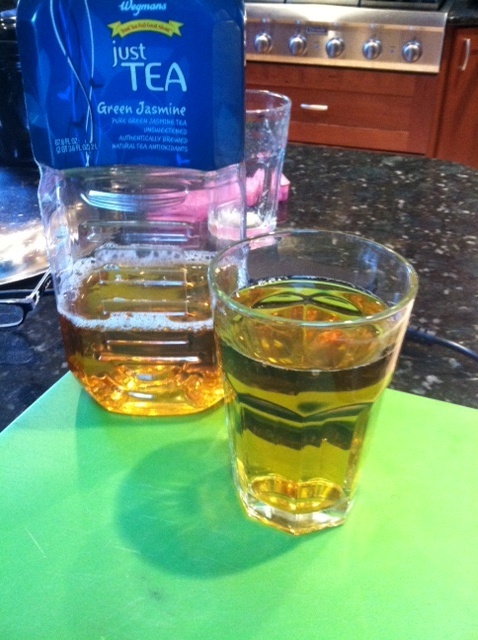 Teas Tea is also another favorite zero calorie tea!